It is not often enough that a classic book is carefully turned into an engaging and exciting play, but we’re very excited about seeing the theatre adaptation of 1984, the book. 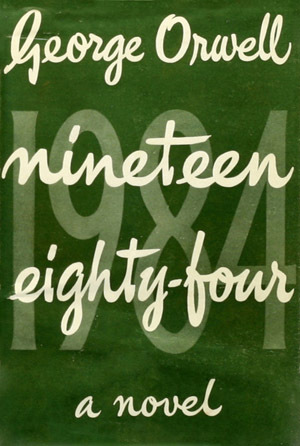 Written by George Orwell, it is a eerie story that has proved true in so many ways, even if the things he mentioned in his book have come to fruit a few decades later than predicted. Surveillance and cernsorshgips are big themes in this story, and these are themes that are currently hitting international newspapers around the world, making this a very timely and relevant adaptation. The book has been transformed by Robert Icke and Duncan Macmillan for Headlong Theatre company into a dynamic and entertaining theatre play. Lyn Gardner, who is a Guardian theatre critic rated this show a full 5 stars our of 5. Although this play is not necessarily an easy watch, just as the book was not an easy read, it covers many themes that have never been more relevant than they are today. This play will be showcased from the 8th of February right through to the 29th of March, 2014. Held at the Almeida Theatre, it is set to be one of the most thought provoking plays of the year. Ticket prices are very reasonable and vary between £8 and £26 depending on seats and dates. Make sure you get in quick to avoid disappointment and missing out. If you’re venturing to London to see this wonderful show, you’ll want to find accommodation that is near by and comfortable. The Holiday Inn London Bloomsbury is only 1.8 mi from the theatre, or approximately 8 minutes by car or 25 minutes walk. This means you’ll be able to easily able to get to and from the theatre, without having to navigate the London tube or paying for taxi fares – an added bonus. A refreshing walk ‘home’ might be necessary to clear your head after watching this play. If you would like more information on the play, where the theatre is located or how to book tickets, please visit the official Headlong Theatre website here.